Sold by MY LITTLE SHOP and Fulfilled by Amazon. Gift-wrap available. Sold by MY LITTLE SHOP and ships from Amazon Fulfillment. 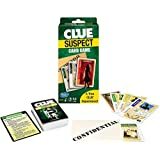 Clue Suspect Card Game - All The Fun of Clue - in Minutes! Are you a word whiz? Show your stuff by finding as many words as possible on the 4x4 letter grid before the sand timer runs out. You’ve got 3 minutes to search out as many words as you can see spelled out on the cubes. 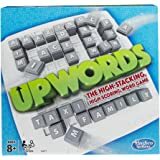 The longer the word, the higher your score, but you only score points if nobody else has the same word. Add up your points and see who the winner is. .. this time. Be inventive, be creative, but above all, be quick. 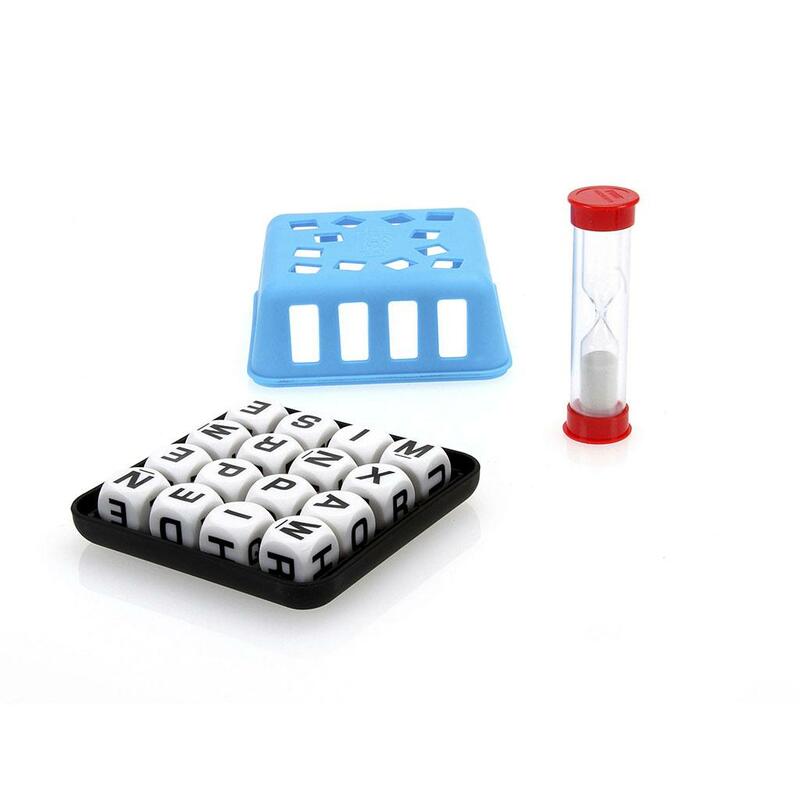 Find as many words as you can before the 3-minute sand timer runs out. Use as many of the letters as you can, and make sure the letters you choose touch in word order. Try to think 'out of the box' because, if anyone else spots the same word as you, then no one gets points for it. This 3-minute word game is fast, fun, and fantastic! 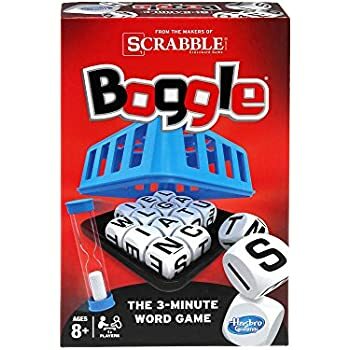 This Scrabble Boggle game is great for the whole family. 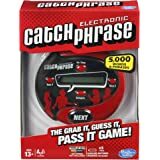 Kids who are learning how to spell, and adults who want to expand – and show off -- their vocabulary will love this game. The cover is designed so that you can't see all the letters until the cover is lifted – so there's no cheating. Shake the unit, lift the cover, then ready, steady. .. search. 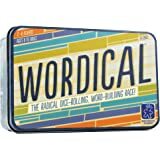 Write down all the words you can find in the Scrabble Boggle game unit grid. Turn the unit around for another viewpoint, as you look for words that no one else can find, because that's where you'll rack up the points. 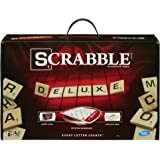 This Scrabble Boggle game provides a suspenseful word game in a compact, travel-friendly unit. The robust cover makes it easy to shake and store your dice. Take the Scrabble Boggle game anywhere and play with anyone who dares to take you on. It's one of the fastest games out there, making it easy and fun to play short rounds that will fit into your busy lifestyle. You can even play against yourself and beat your personal best. Stay calm and keep finding those words, but you also have to be quick because the sand timer won’t let you slow down. 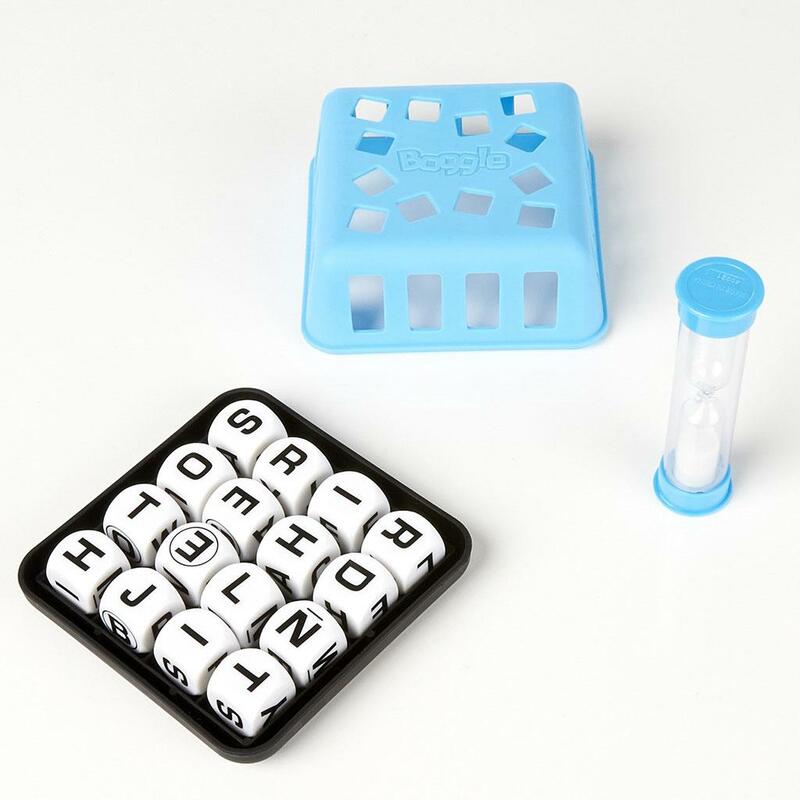 Boggle grid base and lid, 16 letter cubes, sand timer, and instructions. 5.0 out of 5 starsFun! Like a fast and furious Scrabble! 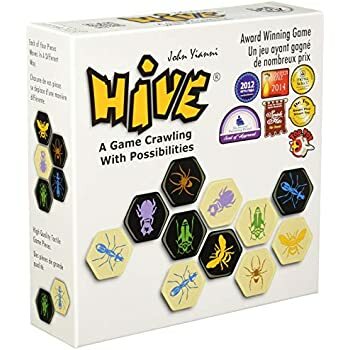 This is a great, simple little game! 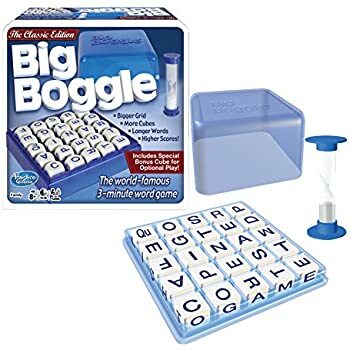 A friend brought one over and we played a few casual games while sitting around and talking and I got addicted and had to buy one for myself. 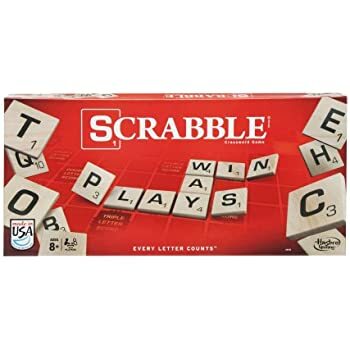 It's small and portable and there's nothing to set up as you would with a regular board game like Scrabble. 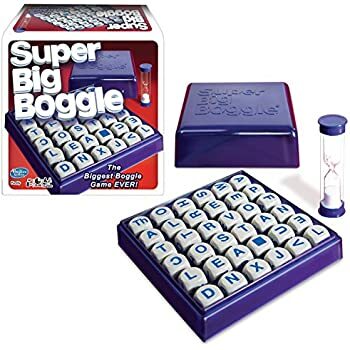 There's a 3-minute hourglass-type timer included, but I like to use a Digital Kitchen Timer because it has an alarm and a huge display and I don't have to keep my eye on it when we play. 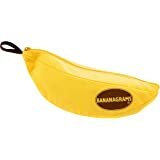 Purchased this as game /therapy for an aging parent with cognitive challenges. We don't use the timer but simply use the letter blocks to find words. 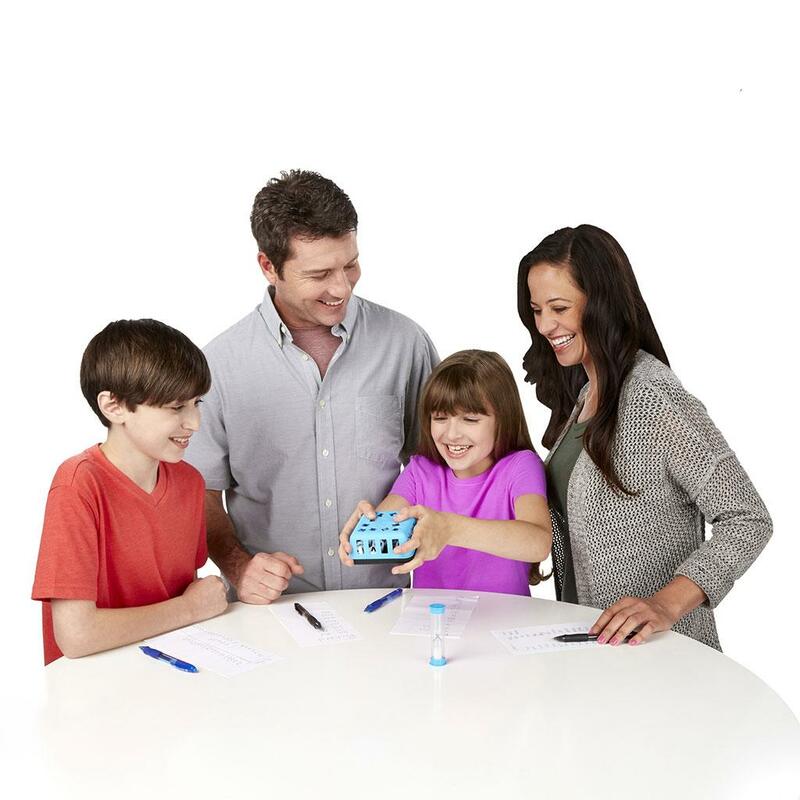 The game set is very durable and compact and can be easily stored in a kitchen drawer for quick access for playing at the dinning room table. We learned about this set through a physical therapist. My girlfriend beats me every single time except the ONE game I won 6 months ago. The game she'll never forget because I bring it up weekly. 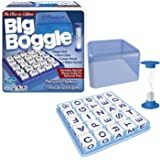 This is your standard boggle set. 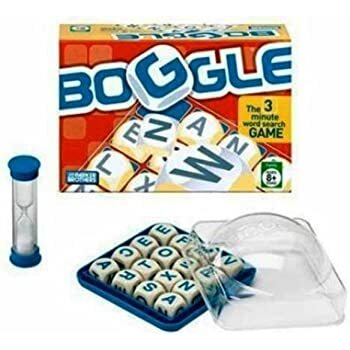 We love playing boggle. We play with 2 people a lot and it is fun. Some games say 2 people can play but the game is different - you can absolutely play this with 2 people. Did you ever have the old Boggle game with the clear plastic lid that sounded like a herd of deer on the kitchen floor? This one is SO MUCH BETTER. The lid is much less noisy. The dice fall into the slots easier. The basket look of the lid makes it easy to see if the dice are set without giving everyone an early peek. 5.0 out of 5 starsPerfect for early readers/spellers!! 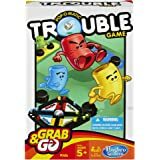 This is a perfect game for my 1st grader and I to play! Teaches her to find words, spell properly. I didn't want the expanded versions because the words she's learning are easier to find and spell on this original version without being overwhelming! I'm sure in a couple of year we will move up to the expanded version! 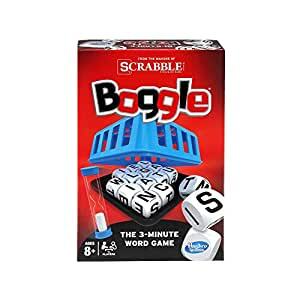 Same as the old Boggle game, but the new box is ok (hence the 4 stars. The plastic box is definitely better than some of the iterations, but still not as good as the original one. And the old wood blocks are still the best versus this weird plasticy ones. 4.0 out of 5 starsGreat game for those of us with short attention spans! My grandchildren, ages 7 and 9 love this game! What I love the most was that you can play as long, or as short, as you want. 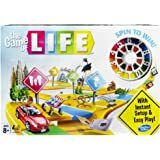 (My grandson lamented that another game "LIFE" was verrry long!) 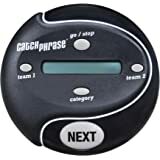 We had some tournaments as well as a few short games. Watch out--the kids get better and will win totally legit!